Its first batch of farm exports comprise yellow sweet potato, purple sweet potato, dragon fruit, dried fruits, and rice paper. It follows joint efforts by the supermarket and farmers in provinces of Lam Dong and Binh Thuan and other places to meet the quality requirements of business partners. Phidsanu Pongwatana, Managing Director of MM Mega Market Vietnam, said: “As soon as we got the export licence, we moved quickly to understand the needs of our business partners in Thailand and look for domestic goods with a competitive edge that we can supply. While dragon fruit is the main item in the consignment, it also has more than 45 tonnes of sweet potatoes. The purchasing division in Thailand has said Vietnamese agricultural products have unique advantages, especially sweet potatoes, whose supply is reliable and offers high quality and safety standards. Vietnamese farm products are therefore likely to see large orders and for long terms. “In addition to steady orders of over 100 tonnes a month, we are also working on exporting an average of 50 tonnes of frozen catfish filet a month,” Pongwatana said. 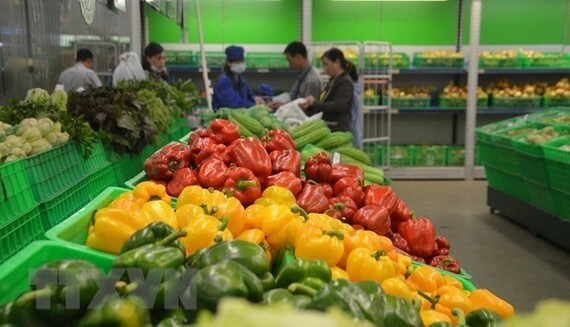 He said the potential for Vietnamese exports looked great because of the 700-plus malls and supermarket distribution channel of Big C.
MM Mega Market Vietnam’s export strategy is built on a professional platform system and direct interaction with farmers to create a quality and diverse source of supply. 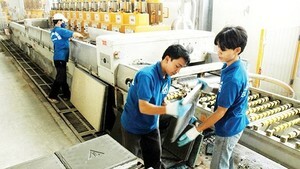 The company has three hubs, which it calls "platforms": for fruits and vegetables in Da Lat, for fish in Can Tho, and for pork in Dong Nai. A fruit hub is taking shape in Ben Tre. These facilities, which also include warehouses, not only supply the company’s 19-store domestic distribution system but also help provide quality products for exports. Besides exporting, MM also provides technical assistance and market research to local exporters trying to reach the Thai market. It helped export more than 1,200 tonnes of dragon fruit and several other agricultural products last year.